The hospital today consists of eight university institutes, divided into 27 university clinics, 311 outpatient clinics, 51 operating rooms and 1,792 consulting offices. About 9,000 employees work within the Vienna General Hospital campus. Of the staff, approximately 1,600 are physicians and 4,500 allied health and nursing workers attending to patient needs. 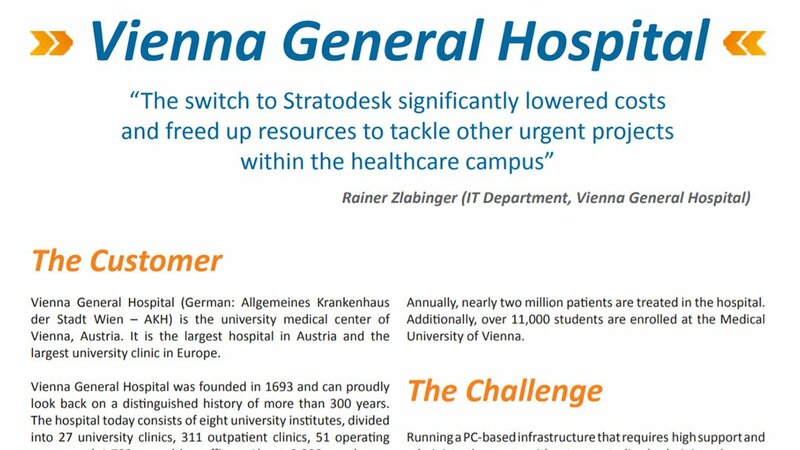 In this case study, learn how Vienna General Hospital used NoTouch software and Thin Clients with NoTouch OS preinstalled to replace 80% of their endpoints.